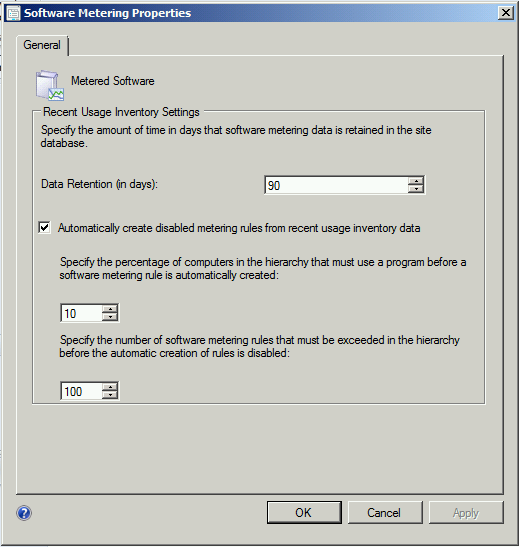 Software Metering is a feature in ConfigMgr 2012 which allows for inventory software usage. For instance you can see how many copies of an application has been deployed to computers and among these you can see how many actually use the application. And how many licenses of a particular software you need. 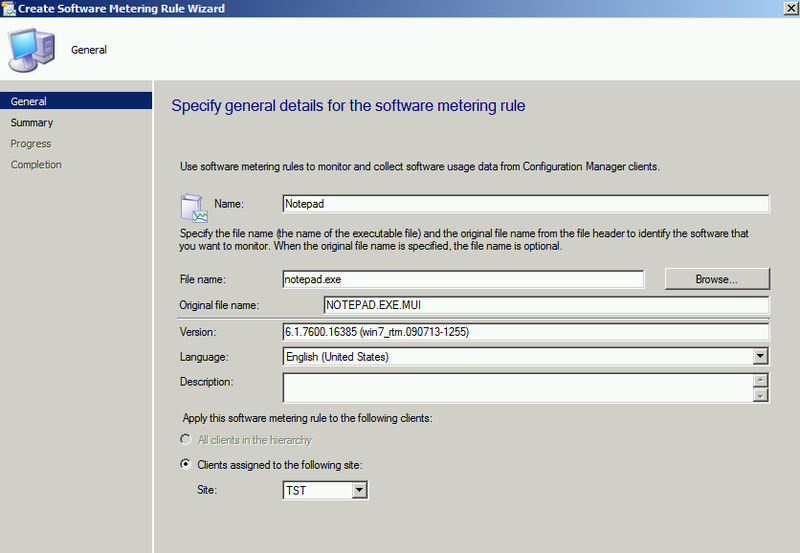 Now in order to use ConfigMgr for Software Metering we must first active “Enable Software Metering on clients” in the client settings. By default the data is gathered every 7 days. 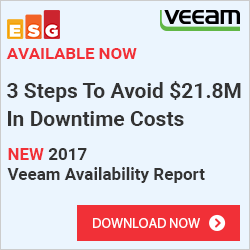 If your site or the agent is unable to deliver the data. 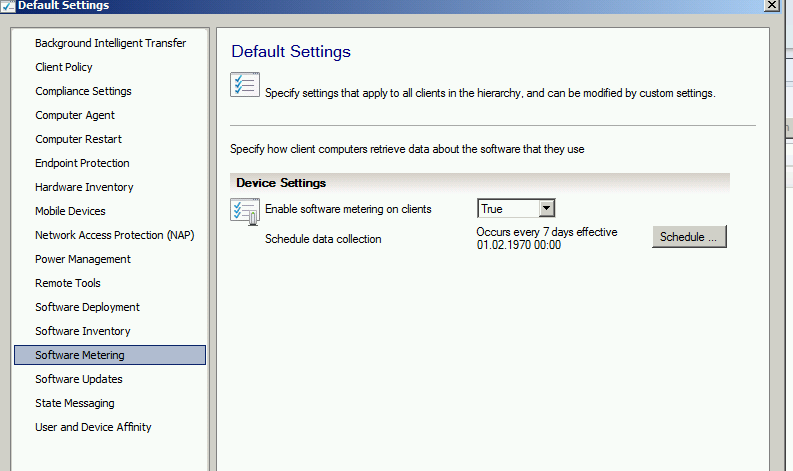 The Client will cache the data and will deliver the data when connection is established. Now that Software Metering is enabled on the client, we have to define which software we wish that the agent should report on. If you have enabled for Software Inventory as well you can choose from the file types you have inventoried. If you we have to create a new monitor. First of lets check the metering options. Now here you specify the retention length. 90 days Is standard. 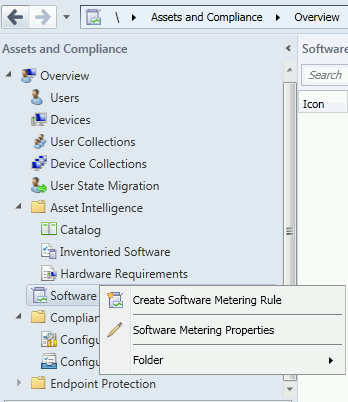 And also by default» is “Automatically create disabled metering rules from recent usage inventory data” This means that when ConfigMgr inventories an application (Via Software inventory) is will automatically create a rule for software metering for that application but it is disabled until you activate it. Now it depends on how many files you inventory but I recommed that you don’t activate this. If you have a large enviroment and inventory all .exe files you’re going to have a HUGE list here. I Recommend that you create the rules manually. On client computers that serve as management points, this log is located in the %ProgramFiles%\SMS_CCM\Logs folder. On all other computers, this file is located in the %Windir%\System32\CCM\Logs folder. Now press OK, and you should see the rule appearing as enabled. 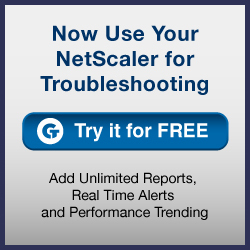 So why choose Citrix over Microsoft RDS?